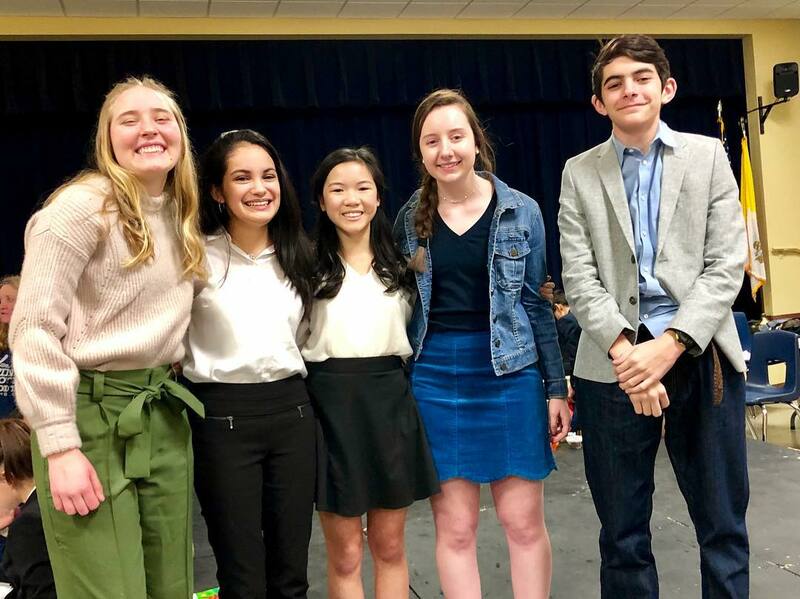 The outstanding efforts of the Freshmen from the Savio Speech Team earned Savio Third Place in the Sweepstakes Award at the 16th Annual Celtic Invitational this weekend. The teams traveled to Temple to compete against eight other schools from across the state. The students successfully took part in a variety of speech and drama events. We are extremely proud of all of the students’ performances within the competition. The results that each student placed in are below. St. Dominic Savio Catholic High School is located in northwest Austin, Texas, in an active and thriving community. Savio is a college preparatory school, to prepare young men and women to become faith-filled, visionary and inspirational leaders in service to the Church and the world. St. Dominic Savio offers a faith experience that encourages students to reach their full potential as caring, conscientious, and moral servant leaders. The vision is "Forming Servant Leaders in the Image of Christ." For any questions, please contact the Director of Communications, Cristina Almanza, by email: calmanza@saviochs.org.